You work hard to make your business succeed. We’re right there with you. When we partner with small and medium businesses, we take great pride in being there every step of the way to help them succeed. Partner with Cogeco today and enjoy our $2,000 break-free credit. Discover how we help our customers succeed. They assigned me an Account Executive who is really in tune with my business. Learn more about how the right services are helping AG Event Graphics stay at the top of their game. We called our original provider but they couldn’t offer us the solution Cogeco could within our budget. Learn more about how the right services helped Corbetts grow their business. Going with Cogeco was a natural choice for us. They were very hands-on and supportive. Download the case study to see how Cogeco Business Solutions helped Tech Place to support start-ups. 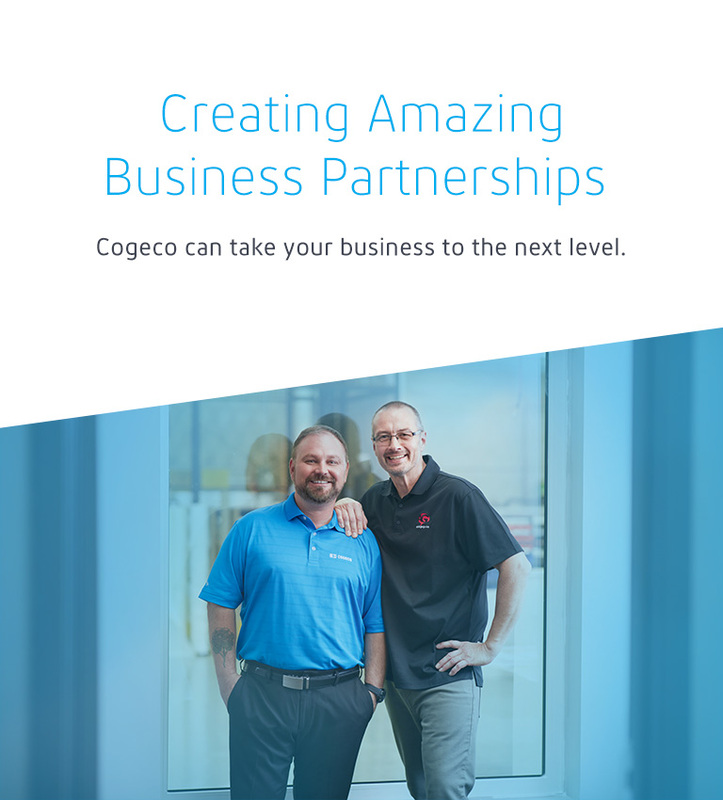 Download the case study to see how Cogeco Business Solutions helped the Sky Guys to grow their business. Cogeco was the one that came to the rescue for us. It’s taken us to that next level where we can do everything. Thinking of making the switch to Cogeco? We make our great services even more rewarding. If you are currently in a contract with another company, you can still take advantage of our Business Solutions. Get our Break-Free Credit worth up to $2,000 when you switch to Cogeco, to help pay the charges for leaving your old contract. Valid on Business Phone, Business Internet and Business TV, on a 3-year commitment period. Discover the benefits of choosing Cogeco Business Solutions for your business. Simply complete the form below and one of our account executives will be in touch. We're more than just a provider. We're a partner. Here's what we offer to help your business thrive. Applicable where Cogeco Business Solutions services are available. Full terms and conditions available at cogeco.ca/business.